Also a submarine is used in military for protection purposes. HOW DOES A SUBMARINE FLOAT & SINK ? Well, you know half the answer if you know how do ships float ? BALLAST TANKS :- What are they, they are just empty spaces between the outer covering of submarine & the inner covering. When they want to go down – they open a valve which fills these tanks with water, which increases the weight of submarine, due to which the average density increases & results in downward movement of submarine. When they want to rise up – using highly compressed air cylinders they pump out the water thereby filling the ballast tanks with air due to which there is a decrement in average density & results in upward movement of submarine. The tanks in front are also called trim tanks, they allow the pilot to keep the nose in upward or downward direction. 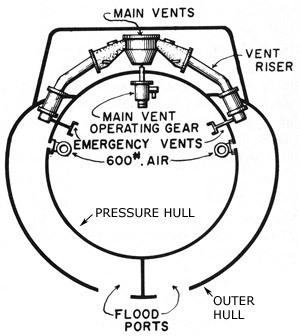 How do submarines stand against massive pressure of water ? They are designed to go to the depth of seas & oceans. As we know, the water pressure increases proportionally to the depth of water( P=hdg, ”h” denotes depth, ”d” denotes density of fluid, ”g” denotes gravity). At 600m of depth the pressure is 6 times the pressure on surface. The pressure of water pushing inward is the biggest problem for anyone who wants to go deep beneath the ocean surface. PRESSURE HULLS :- These are the outer coverings of the vehicle. A light hull is used as a outer non-watertight hull which provides a hydrodynamically efficient shape. The pressure hull is the hull of submarine this holds the difference between outside and inside pressure. Water or air is filled between the spaces of these two hulls. The strongest submarine’s hulls are made from hard steel or titanium ! How do submarines move ? Propulsion system :- Bikes, cars, trucks, trains – all run on Internal combustion engines which uses the oxygen from air for combustion. But, down in ocean, there is this whole new world without air. Earlier, the submarines had diesel-electric engines in which a diesel engine rotated a shaft instead of the main propeller, which charged the batteries fully & only then the submarine would go underwater relying entirely on battery power. 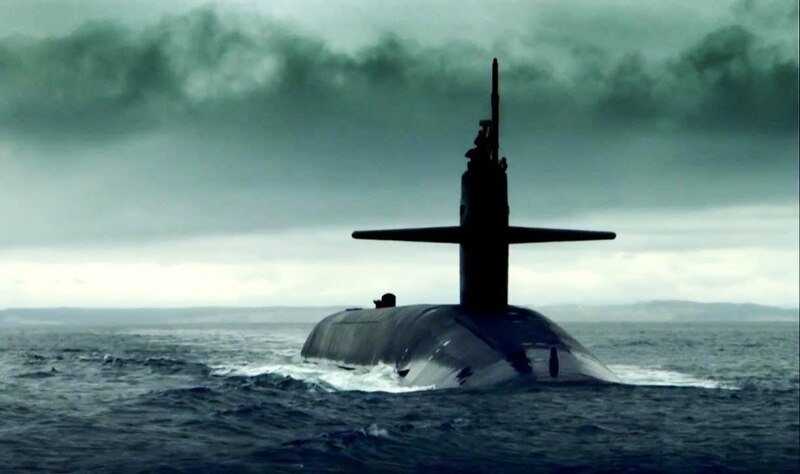 Now most of the modern military submarines are nuclear powered. Like small nuclear power plants, the submarine has a nuclear reactor which doesn’t require air & then generate power to drive the sub’s electric motors. HYDROPLANES – like airplane wings, are also used to move up & down. A rear wing or tail or rudder is used to take turns. How do men survive ? The crew need oxygen to breath, from where do they get it ? ELECTROLYSIS :- A process which is used to separate oxygen & hydrogen by passing DC current to water. Water is readily available from the ocean & also electricity is available through batteries. I guess the problem is solved. I tell you – a missile coming out of nowhere from inside the vast ocean is one of the best thing I have ever seen in my life !!! Could you believe that ? – a missile could be launched from under the water ! propelled the missile out of water & then rocket engine was able to ignite & blow up a place. SONAR(Sound Navigation And Ranging) is a technique used to navigate & detect objects under sea. Submarines are – “JACK THE RIPPER” of weapons – the most silent & serial killers of todays world ! You can directly jump to 22:34 if you only want to watch – missile coming out of water !